Accommodations Cabin is open with vanished interior facing settees with large dining table (bulkhead mounted), forward V-berths, dove-tailed drawers & closet. Qtrberth has full-sized chart table, full galley and a separate enclosed head and shower. 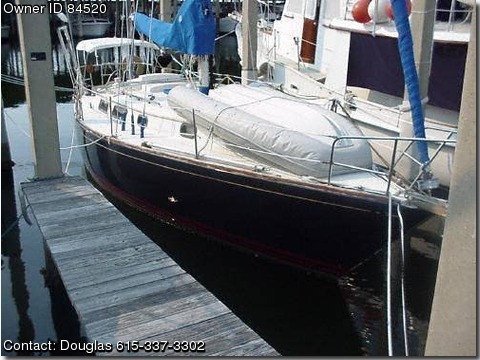 price just reduced, owner motivated Galley Located adjacent to the companionway providing good ventilation with a nice large counter, deep sink and ample storage.